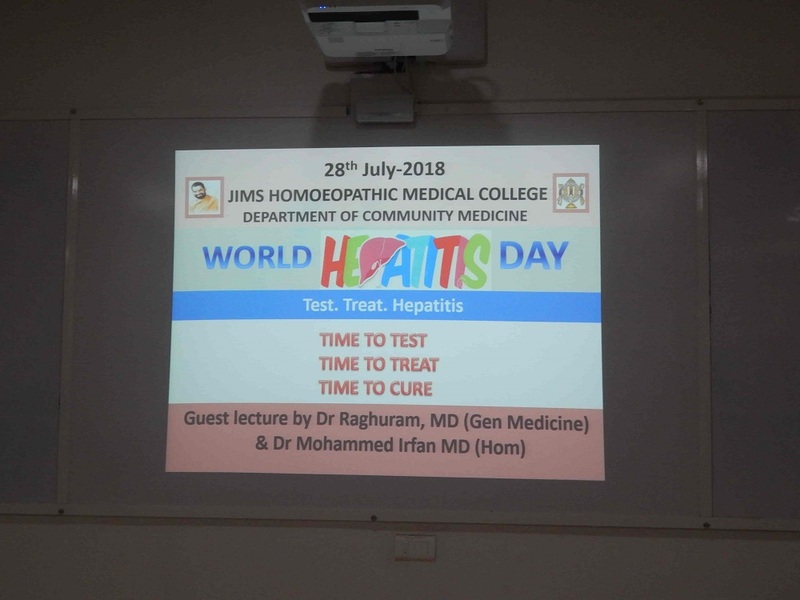 The Department of Community Medicine organized an awareness talk on World Hepatitis Day at JIMS Homoeopathic Medical College. The resource persons for the lecture were Dr Raghuram, MD General Medicine & Dr Mohammed Irfan, MD (Hom). Dr Raghuram spoke on the importance of the day, touching upon the vision of global health strategy on Hepatitis 2016-21. He emphasized on the various factors involving hepatitis prevalence, causation and prevention. This year the WHO focuses on the theme: “Test. Treat. 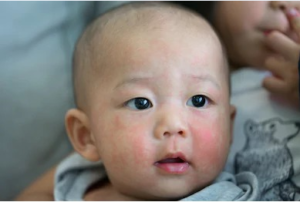 Hepatitis” for World Hepatitis Day 2018 events. Dr Mohammed Irfan explained the Homoeopathic aspects in terms of the pathophysiological, miasmatic and posological understanding of any disease in general and Hepatitis in particular. 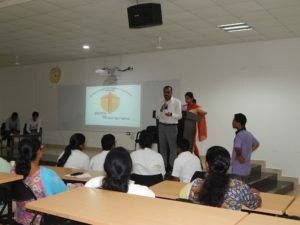 He conducted a quiz at the end that intrigued the group to participate actively in the programme.